As much as we’d like to believe we are strapping outdoors enthusiasts, just the thought of chopping a big pile of firewood makes our biceps quiver. 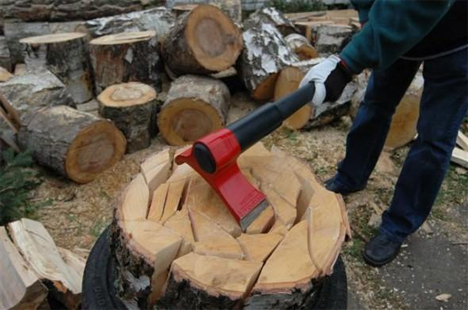 Finnish inventor Heikki Kärnä has come to the rescue of everyone who has ever wanted to chop their own firewood but just couldn’t physically make it happen. 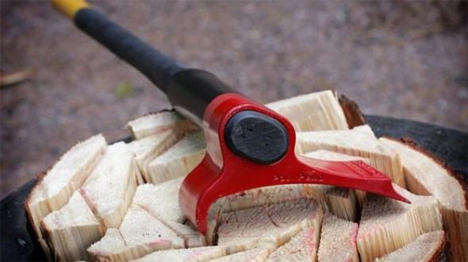 His Vipukirves Leveraxe is a patented, smarter take on the traditional axe. The Vipukirves Leveraxe uses kinetic energy to not only cut the wood, but to segment the pieces neatly and efficiently. Vipukirves actually translates to “lever axe,” an appropriate name given that it functions as a cutting tool and then a lever. The business end of the axe features a sharp edge, and a piece that protrudes to the side to change the axe head’s center of gravity. Thanks to this slight shift, the axe head sinks into the wood and then, without any additional effort, moves slightly to the side. This gesture splits the wood into pieces that are the perfect size for burning in a fireplace or fire pit. 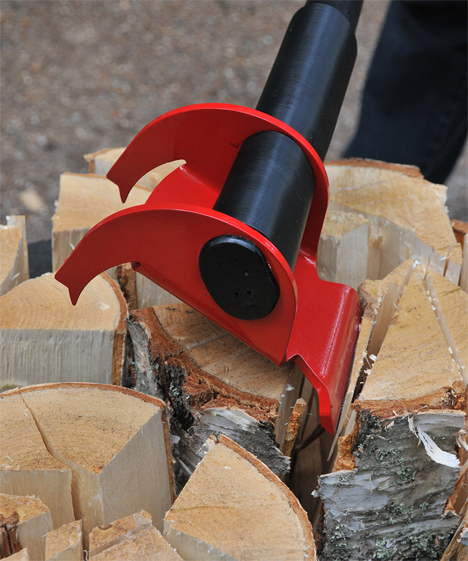 The shift of balance also prevents the axe head from getting stuck in the wood, allowing you to swing again without dislodging the head from the log first. The lever axe’s demonstration video is enough to make a believer out of just about anyone. It’s satisfying and kind of hypnotic to watch the inventor swing the axe over and over and see the little wedges of wood split off almost effortlessly. See more in Industrial Design or under Technology. October, 2014.